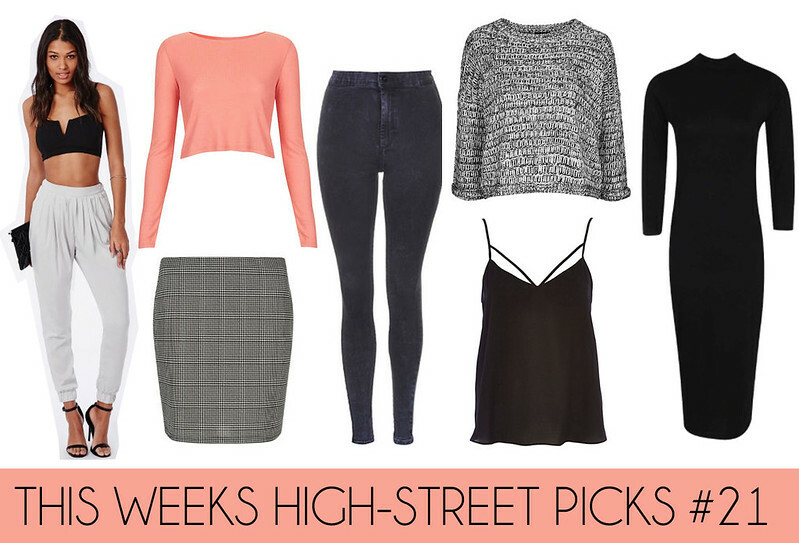 I've been loving so much on the high-street lately. Missguided have been killing it lately with there 'new-in' section. I'm loving this jogger and crop top combination it looks perfect for a night out. I've been obsessed with crop tops like this one. As I'm typing this post I'm wearing a grey one! I wear these with high-waisted trousers, skirts and underneath jumpsuits. I've been obsessed with joni jeans lately and I'm lusting after this grey pair! Slouchy sweater/jumpers are a must have for this season and next on my wishlist is this Topshop one! Cute collage! Love the jeans- high-waisted are always a casual yet chic option :) <3.